For defective DVDs: First, please check the tracking system on your DVD player, then try your computer drive to see if the same problem occurs. If at that time you discover the problem is only apparent with our DVD, please contact us and we will be happy to take care of the problem. Should you have any questions, contact our Publications Department. 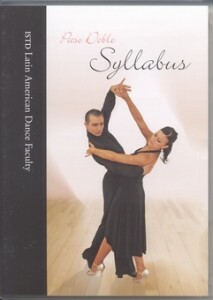 This is the official ISTD International Latin Syllabus. Each ISTD syllabus figure is demonstrated step by step showing how the figures are constructed. They are danced with and without music incorporating Lead, Shape & Style. Alternative endings and developments are also included. This DVD is not to replace our very comprehensive technique book but can be used to complement it. 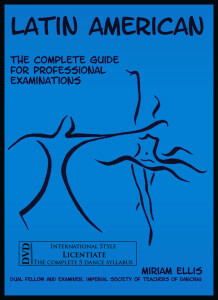 It will be a valuable reference every dancer will find useful throughout their dancing career. WARNING: This DVD is from London and is in PAL format. If your DVD player will not handle PAL format, then do not order. The DVD should play on computers and laptops. 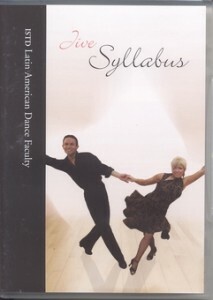 Latin-American Student-Teacher DVD by Miriam Ellis. This 1st DVD is the only one you will need for the Student-Teacher Latin-American Examination. 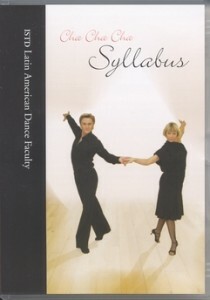 It covers all 5 of the Latin-American dances, and acts as a study companion to the “Latin-American Complete Guide for Professional Examinations” by Miriam Ellis, as well as being most beneficial to the serious student of dancing. Running time: 2 hours, 15 minutes. Revised Edition! To view a sample of the video please visit the product’s YouTube link. Latin-American Associate DVD by Miriam Ellis Latin-American Associate DVD by Miriam Ellis. This 2nd DVD will prepare you for the Associate Latin-American Examination, and is a continuation of the Student-Teacher DVD. It covers the Associate material for all 5 dances, and acts as a study companion to the “Latin-American Complete Guide for Professional Examinations” by Miriam Ellis, as well as being most beneficial to the serious student of dancing. Running time: 2 hours Revised Edition!